All Angle Stringing Block | Tallman Equipment Co., Inc. This block can be suspended or attached to a universal cross-arm bracket. 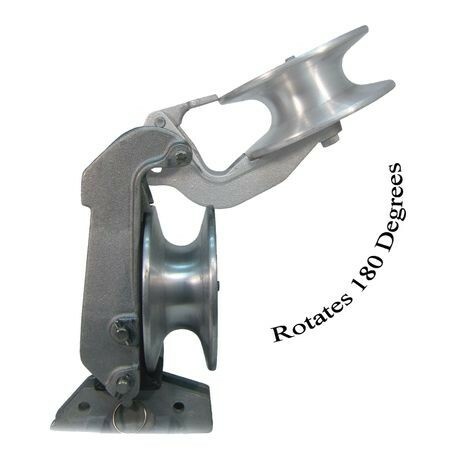 With the socket eye removed, the 6-1/2" sheave easily rotates a full 180°.